For the past two and a half years, Philip Reitinger has been protecting America against hackers. Can he do the same for Sony? Unless you've been living under a particularly well-insulated rock, you're likely heard of the issues Sony has had over the past year in keeping its virtual pants from falling down. In late April the firm's PlayStation Network was compromised, leading to over a month of down time. The hackers responsible later published the personal info they swiped on the 'net. Likewise, May and June were a swirling tornado of online security woes for the gaming giant. The Sony Pictures website was hacked and the firm's divisions in Greece and Japan were also targeted. Sony, it seems, has had enough of this, and is bringing in the big guns. 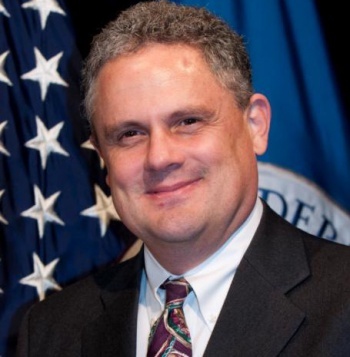 Specifically, Philip Reitinger, a cyber security expert who has worked for Microsoft and who spent the last two years as Deputy Under Secretary for the National Protection and Programs Directorate at the US Department of Homeland Security, as well as the Director of the National Cybersecurity Center. In short, that means Reitinger was responsible for overseeing America's technological defense systems and protecting our country from the theoretical hordes of foreign hackers that the DHS assures me do exist, somewhere. As Sony Group's top information security executive, Reitinger will be responsible for assuring the security of Sony's information assets and services. He will oversee information security, privacy and internet safety across the company, coordinating closely with key headquarters groups and working in partnership with the information security community to bring the best ideas and approaches to Sony. Reitinger will report to Nicole Seligman, Executive Vice President and General Counsel, Corporate Executive Officer, Sony Corporation. I suppose this is where I exhale sharply and proceed to rain on Sony's parade. Don't get me wrong, I'm sure Mr. Reitinger did phenomenal work at the DHS, and will continue to do so in his new position, but the problem is not who Sony has manning the ramparts. The problem, in sum, is that the hackers who've made sport of hunting Sony collectively have an infinite amount of free time. No security system, in either meatspace or cyberspace, is ever completely secure, and given enough determination and time, these hackers will continue to defeat whatever walls Sony puts in front of them. Unless Mr. Reitinger swiped some Majestic 12-level firewall tech on his last day with government access, he's got a massive job in front of him.